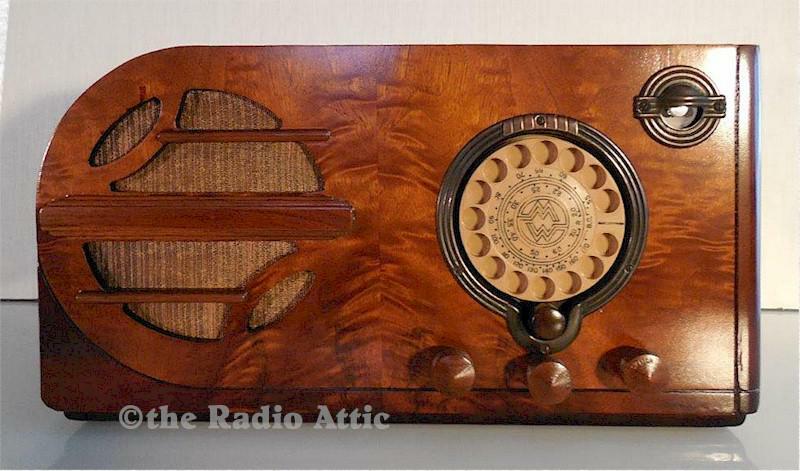 This 1937 Art Deco "teledial" beauty from Montgomery Wards has been completely restored. The two-band chassis has had all wax and electrolytic capacitors replaced, tubes and resistors checked, alignment peaked and has a new eye tube. The cabinet has been refinished with period correct toners and a semi-gloss lacquer. Plays great on both bands. 17"W x 9"H x 8"D.
You are visitor number 584 to this page.